Cinema on the Square, the Swannanoa community’s outdoor movie series, continues on Friday evening, September 21, with a screening of Coco, produced by Pixar Animation Studios, and rated PG. Coco was one of 2017s most popular family movies, earning a 94% audience approval rating on Rotten Tomatoes. To read more about Coco, click here. The movie will begin at dusk (approx. 7:45 pm) in Grovemont Square, adjacent to the Swannanoa Library, 101 West Charleston Avenue. Bring a chair or blanket and arrive early to enjoy the beautiful mountain views, adjacent playground and large grassy area for playing games and hanging out. Popcorn, candy and drinks will be available for purchase before and during the show. In case of inclement weather, the movie rain date is Friday, September 28. 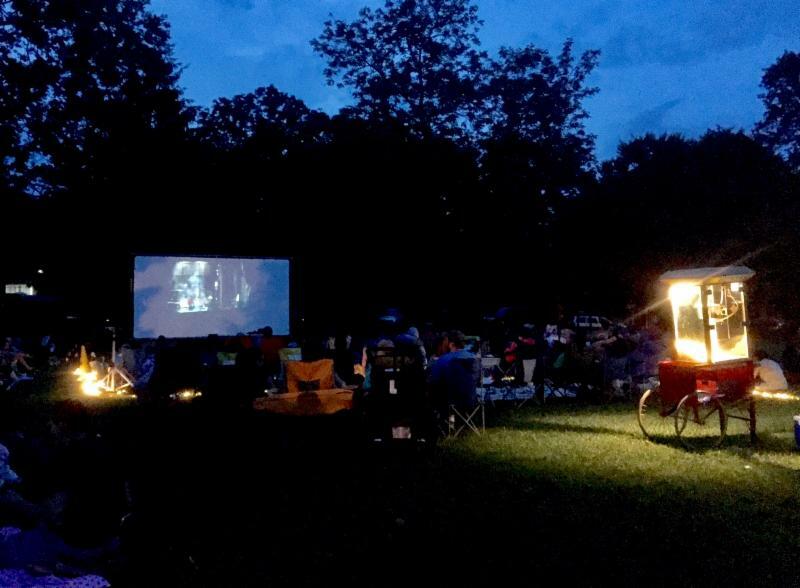 Cinema on the Square is brought to you by Friends and Neighbors of Swannanoa (FANS), the Friends of the Swannanoa Library, and the Swannanoa Community Council. For more info, or if you’re interested in becoming a sponsor or volunteer, please call the library at 828-250-6486.